As co-chief executive officer of Investcorp, Rishi Kapoor has a rich perspective on the investment industry in the Middle East. Based in Bahrain—with additional offices in London, New York, Riyadh and Abu Dhabi—the firm is a provider and manager of alternative investment products, and Kapoor has held a number of progressive responsibilities there over the last 20 years. 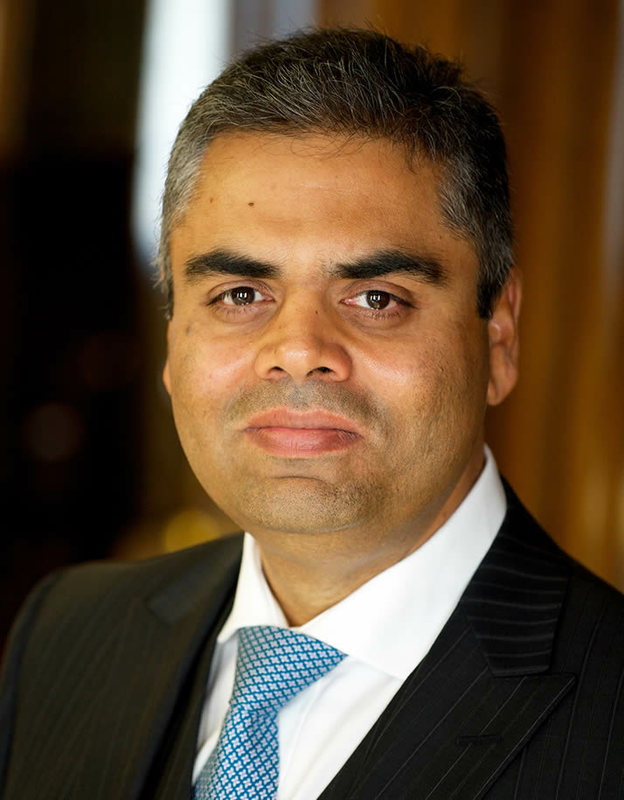 Kapoor graduated from Duke University’s Fuqua School of Business Global Executive MBA program in 2001 and currently serves on the school’s regional advisory board for the Middle East. He shared his industry and regional insights in a Fuqua Q&A. Q) Investcorp’s current portfolio includes companies in North America, Europe and MENA. Are there fundamental differences in how you target investments in each of these regions? Yes, there are fundamental differences in the types of investments we look to target in these regions. In the US, we prefer control investments in mid-market companies, particularly in the services or consumption-driven sectors, since a large component of America’s economic growth is anchored by domestic consumption. In Europe, we also target control investments in mid-market companies, except here we prefer companies that are export-driven, in particular catering to some of the global growth markets in Asia or Latin America etc., as opposed to relying on domestic European consumption. In MENA, the target universe is very different. We acquire minority stakes in opportunities sourced from family businesses, divestitures of non-core corporate assets and corporates seeking growth capital. Our core investment thesis is that the economic transformation in the MENA region (including Turkey) and the evolution of the family business model has created opportunities to establish higher-value, larger-scale businesses that require complex and sophisticated processes, and enhanced management capabilities. Q) How has your competition changed over the last two decades? Much in the way that Investcorp has continued to evolve over the last three decades, competition has evolved too. On the investment front, competition has expanded and also become more granular. Investcorp has always been a generalist—we pursue attractive investment opportunities across most sectors and geographies without necessarily limiting to, or specializing in a subset. In the early years, the competition was similar. But today, in addition to the generalists like Investcorp we have many specialists, either at a country or a sector level, that enrich the universe of competitors that we have to contend with when pursuing an investment opportunity. That means we have also had to develop an “edge,” using a blend of our experience, our network of industry experts, and our own skills to help develop a compelling value enhancement-driven thesis for our target investments. The focus on value enhancement itself is another major evolution within the competitive landscape in this industry. In the early years, private equity was more about financial engineering. Investcorp was amongst the pioneers in focusing on fundamental value enhancement at the underlying companies. Today, much of the competition pursues a similar approach. Along similar lines, in the early days Investcorp was one of the few multi-asset class alternative investment managers—offering a range of products including private equity, real estate and hedge funds. Today, most of the largest and more prominent players all have a multi-product offering. In the Gulf region, our competition used to be international asset managers and private banks that would come and visit the Gulf once in a while. Today, the competition includes several new domestic entrants in addition to the internationals, and most of them have at least some physical presence locally in the Gulf. In a nutshell, while we may have enjoyed a head start in the early years, as many of the initial features that distinguished Investcorp as a first-mover are today more common. That is to be expected in any industry, and we have striven to maintain our competitive edge through continued innovation, staying close to our clients, and fine tuning our product offerings in sync with their evolving needs and preferences. Q) What are some of the ways you build value in your investments? In all instances we adopt a methodical and rigorous approach through the investment-divestment cycle. We focus on maximizing value post-acquisition through the wealth of financial and operational experience, broad industry knowledge, and powerful network of global relationships that we have accumulated over multiple decades. The investment thesis underpinning each investment opportunity will typically include multiple levers of potential value creation—focusing on initiatives for top line growth and efficiency improvement through organic as well as inorganic means. Typical levers for value creation in many of our investments include bolt-on acquisitions, international expansion, sales force management, procurement efficiencies and low-cost manufacturing. Q) You’ve worked across various departments and functions during your career at Investcorp. What tactics have you found to be key in facilitating communication across these internal divides? Openness and transparency is key. It is important to be very clear—in the absence of clarity people will make stuff up and that leads to avoidable confusion. Throughout my career and across all my interaction with all stakeholders inside as well as outside the firm I follow these three basic rules—openness, transparency and clarity. It may not always win you a popularity contest, but I find that it engenders a degree of mutual trust and respect, that in turn serves as a great platform for constructive engagement on an ongoing basis. Q) We’ve read that a number of prominent Gulf companies are in a similar situation as Investcorp where their founders and/or majority shareholders are approaching retirement and they must go through succession planning. What are some important considerations for a company in this process? Very true. Many businesses in the Gulf will need to deal with succession in the coming years. A thoughtful, well-managed succession can make all the difference between a sustainable institution that will succeed over time versus a founder and/or proprietor-led business that struggles in its second generation. It all starts with governance, in particular the clear separation of governance from management and ownership. In founder-owned and -led businesses these lines of distinction risk getting blurred. So, as a starting point, it is important for the founder to have the foresight as well as the confidence to entrust governance of his company to a largely independent board of directors that embrace the responsibility of prudent governance and are appropriately empowered to discharge that responsibility. Once a proper governance platform is in place, distinct from owners and managers, thoughtful succession planning and execution is then one of the primary responsibilities of the board. A majority of owner-founders find succession hard to handle themselves. Having a capable board drive the process, therefore is a great facilitator. Besides proactively planning for succession in terms of identifying the candidate, it is equally critical to (a) groom the person so as to facilitate a smooth transition; and (b) allow for a clean separation once the transition is complete. That way the successor is able to develop, pursue and implement a strategy that he/she owns fully and is held accountable for by the board and owners as opposed to lapsing into the typical trap of the successor merely acting as a puppet or extension of the founder operating behind the scenes. That would lead to an abdication of ownership, responsibility and accountability by the successor, which is typically a recipe for problems later on.